Pori is a city and municipality on the west coast of Finland. Kick off your visit on the 30th (Sun): pause for some serene contemplation at Central Pori Church (Keski-Porin kirkko), then make a trip to Juselius Mausoleum, then enjoy the sand and surf at Yyteri Beach, and finally examine the collection at Villa Mairea. To see maps and more tourist information, you can read our Pori road trip site . Helsinki to Pori is an approximately 3.5-hour car ride. You can also take a bus; or take a train. 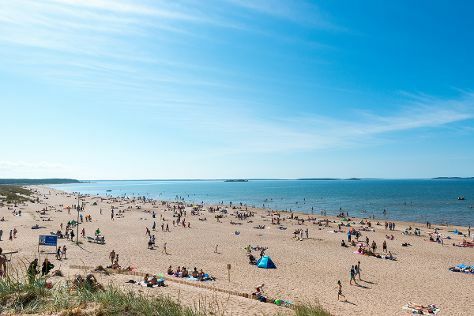 In June, daily temperatures in Pori can reach 20°C, while at night they dip to 10°C. Finish your sightseeing early on the 1st (Mon) to allow enough time to drive to Turku. Kick off your visit on the 1st (Mon): stroll through Vepsa Island, admire the striking features of St Henry's Ecumenical Art Chappel, and then explore the ancient world of Aboa Vetus & Ars Nova. 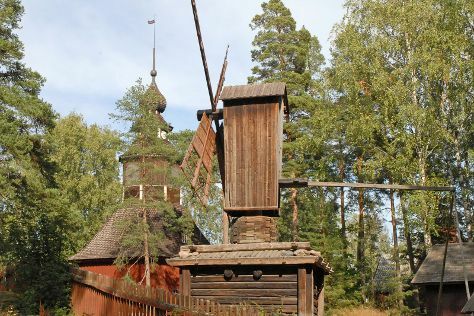 For maps, more things to do, where to stay, and other tourist information, refer to the Turku day trip planning website . Traveling by car from Pori to Turku takes 2 hours. Alternatively, you can take a bus; or take a train. In July, plan for daily highs up to 24°C, and evening lows to 13°C. Finish your sightseeing early on the 2nd (Tue) so you can drive to Helsinki. Start off your visit on the 2nd (Tue): contemplate in the serene atmosphere at Rock Church, get engrossed in the history at Seurasaari Island and Open-Air Museum, learn about all things military at Sea Fortress Suomenlinna, then take a stroll through Ullanlinna, and finally pause for some serene contemplation at Helsinki Cathedral. To find more things to do, photos, where to stay, and more tourist information, go to the Helsinki journey planner . Traveling by car from Turku to Helsinki takes 2 hours. Alternatively, you can take a train; or fly. In July in Helsinki, expect temperatures between 25°C during the day and 15°C at night. On the 3rd (Wed), wrap the sightseeing up by early afternoon so you can travel back home.